The contributions made by the Carmelites of Mary Immaculate (CMI), the first indigenous Catholic Congregation of India, in the educational field of Kerala were pioneering and revolutionary. 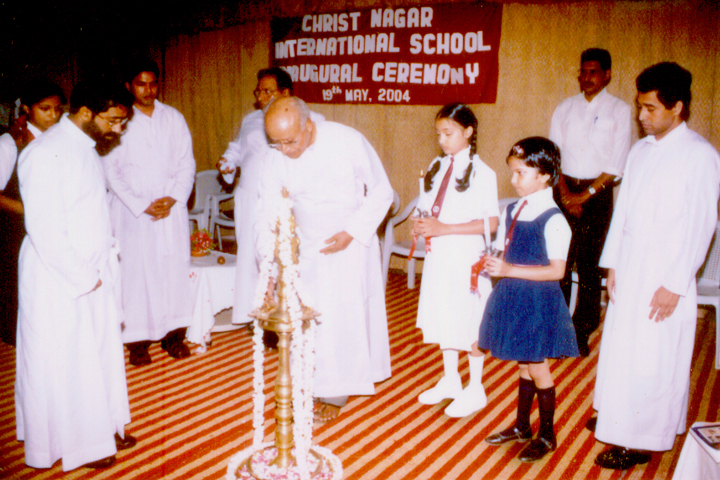 Saint Kuriakose Elias Chavara, the Founder of the CMI Congregation, established the first Catholic School of Kerala at Mannanam in1846. All the other CMI Monasteries also followed that movement. 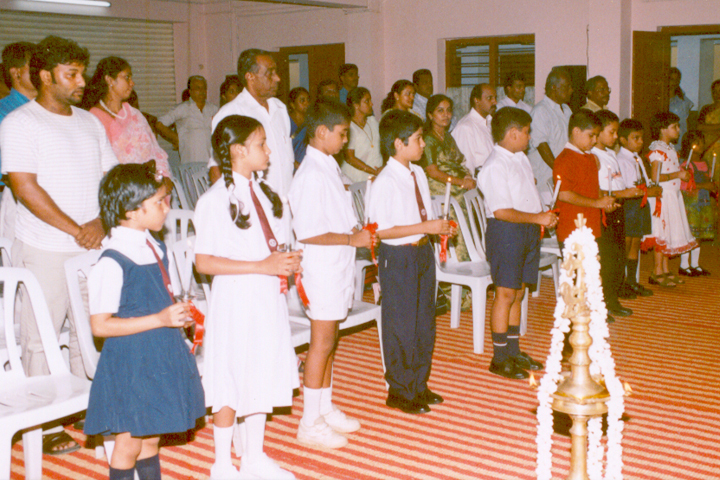 In the year 1864, Blessed Chavara, in his capacity as the Vicar General of the Syro-Malabar Church, ordered all the parishes to start schools adjacent to them. This historic order triggered the emergence of a galaxy of educational institutions all over the State. It also became the basis of the socio-economic development of the whole State. The main aim of the entire educational endeavour of the Congregation is to bring about a social transformation with emphasis on an option for the poor, coupled with the target of the moral reconstruction of the society. Today, the CMIs run about 449 educational institutions which include Schools, Arts and Science Colleges, Autonomous Colleges, M.Ed and B.Ed Colleges, Engineering Colleges, Polytechnic Colleges, ITC Centres, Nursing Schools, Research Centres and a Medical College. 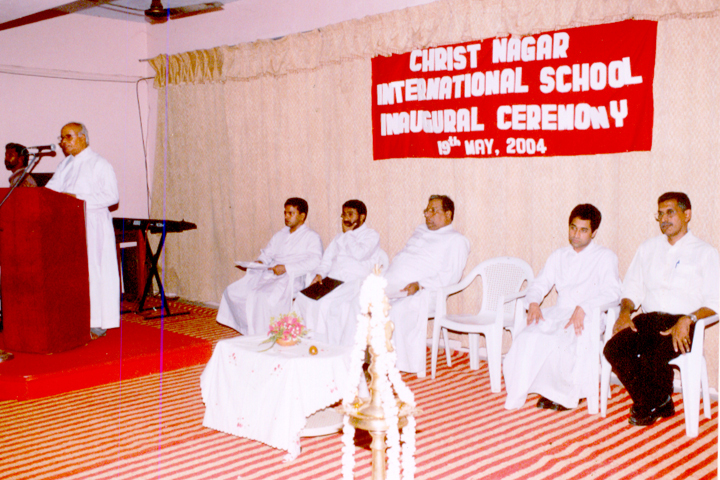 In response to the increasing demand for quality education that is global in nature, the Christ Nagar International School was started in May 2004. The school is affiliated to the Cambridge Assessment International Education, UK, a unit of the University of Cambridge, and provides a high profile qualification, recognised by universities and institutions of higher education around the world. CNIS is the first CMI school to attain the Cambridge Assessment International Education (CIE) status and the second in Kerala. The academic ambience of this school and its serene setting induce the best from every student who comes to worship in this temple of knowledge and wisdom. The CNItes will spend at least half an hour every day for spiritual exercises like yoga, reading the Sacred Scripture, leading the family in the daily prayer including the prayer of Christ Nagar International School. The CNItes will spend some time with their family members everyday to pray together, eat together and speak together thereby learning the values of family life. The CNItes will find some time every day, to help their mothers in the kitchen, to polish their shoes, wash their clothes ( weekly ), clean their house and its premises ( monthly ) and spend some time to engage in their hobbies and personal diary writing. The CNItes will try their best to sacrifice some of their pleasures and collect some money for the well being of the poor and deserving students. The CNItes will take part in all the co-curricular activities of the school in order to develop physical fitness, professional behaviour, interpersonal skills, emotional and mental growth and a sense of team work. The CNItes will try to develop a distinguished CNIS style in their speech, activities and behaviour; speaking well and exhibiting exemplary behaviour in all that they do â€“ a CNIS culture and style. The CNItes will embody professionalism, honesty, integrity as well as high moral and ethical standards. The CNItes will create in themselves and in other students hope, confidence, commitment, energy, enthusiasm, hard work and a sense of sacrifice. The CNItes must feel an inch taller when talking about CNIS. The CNItes will foster the effort of personal growth (spiritual, emotional, intellectual) which will help themselves and the society to grow faster. They shall believe in their inherent potential to grow professionally and personally to their highest capabilities. They will nurture their innovative skills and will encourage themselves constantly to learn and grow. The CNItes will be self-critical, questioning and committed to personal excellence and self-improvement. The CNItes will not criticize its management, teachers and other students in public. Instead, they will give constructive criticism for their improvement. The CNItes shall recognize that the most important assets of their life at CNIS are their classmates, friends, teachers and the management. The CNItes will respect the rights of others and will consider them as equals. The CNItes will strive to be the best ambassadors of CNIS.